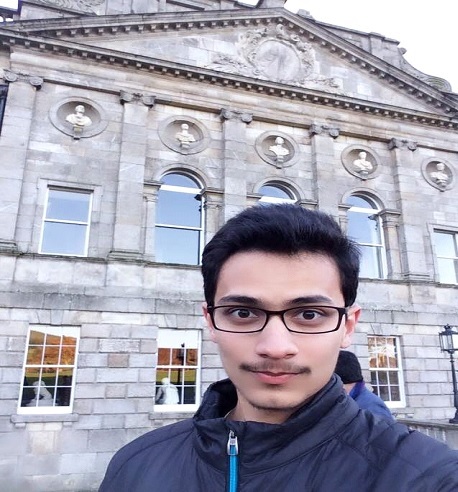 Home CAT Success Stories The CAT success story of Akshat!! The CAT success story of Akshat!! Let’s start by getting to know your past academic profile? In 10th and 12th I got 95%, whereas in Graduation I got an 86%. What have you pursued in graduation? I have done Economics Hons. from Hansraj College, Delhi University. Do you have any work experience? If yes, where? Yes, I do have work experience of 11 months with Boston Consulting Group in the knowledge management department. When did you plan to pursue MBA? MBA was more like a natural choice after having done Eco. Hons. Other than that I really wanted corporate exposure, because that’s where my interest lies. What were your sectional and overall percentiles? My overall percentile in was 99.78, with 98.8 in Verbal Ability and 99.32 in both Data Interpretation & Logical Reasoning, and Quantitative Aptitude. Oh great! So where all did you get calls from and which all did you convert? I got calls from all the IIMs, XLRI and FMS. I managed to convert IIM L, FMS, XLRI and at IIM B, I am currently in the waitlist. 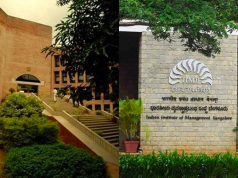 So I am waiting to see how the result of IIM B turns out. So having given so many interviews is there something about any of the interviews that you would like to share with us? I don’t really have anything specific to share as such. I think, a lot of a candidates’ performance depends on luck. Other than that I think interviews provide a very good opportunity to cover up any drawback that your profile might be having. So it’s very important to be well prepared for the interviews that come your way. Okay, so coming back to the CAT preparation, how has your journey been like? My main aspect of the preparation was taking and analyzing mocks. I think that’s where a person can learn from the most. Other than I believe that a lot of things in terms of performance in mocks, depends on luck as well, so I have seen a lot of ups and downs throughout my preparation. What are your views about online coaching? I think any kind of coaching is like an ‘icing on the cake’. The main and most important part of preparation is self-study and practice. 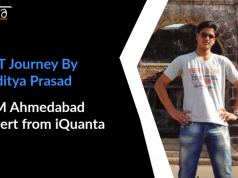 How did iQuanta help you in your preparation? 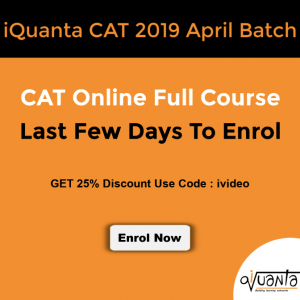 So I was part of the quantitative aptitude course of iQuanta, and I think that Indrajeet’s shortcuts and tricks are very useful and come handy during the exam. From personal experience, I think there were 2-3 questions of Quantitative Aptitude which were pretty direct and could be solved using just his formulas. Other than that, now when I look back I feel that I could have made better use of the course. Any suggestions/feedback you would want to give iQuanta? Nothing really. But since you have asked, I would like to mention that the classes tend be a little slow, even though I understand that it’s required for some people who take time to grasp a concept. But I felt that the classes would be more efficient if the pace was increased a bit. 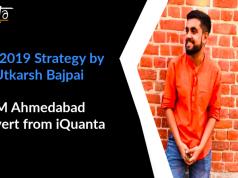 Previous articleThe CAT story of Anubhav Sinha, an IIM L and FMS convert! Next articleSuccess Story of RAJAN BURMAN, an IIM Lucknow convert! !